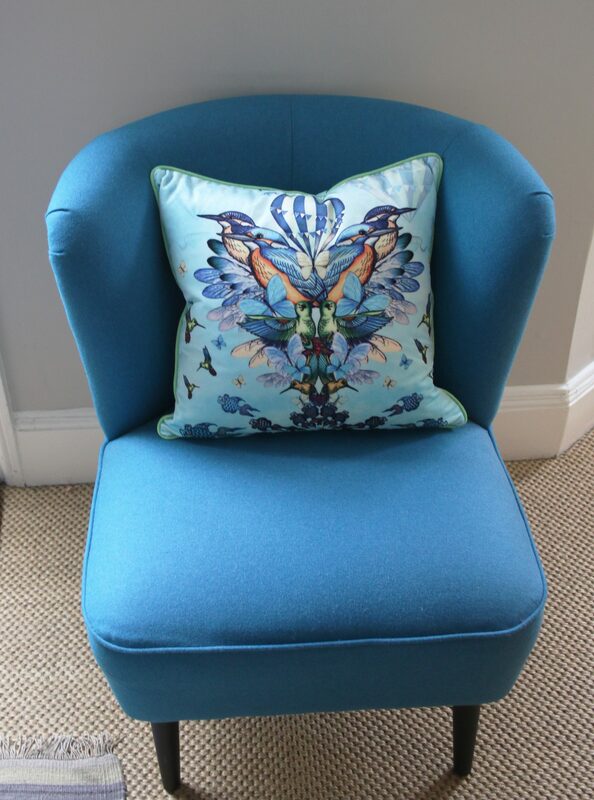 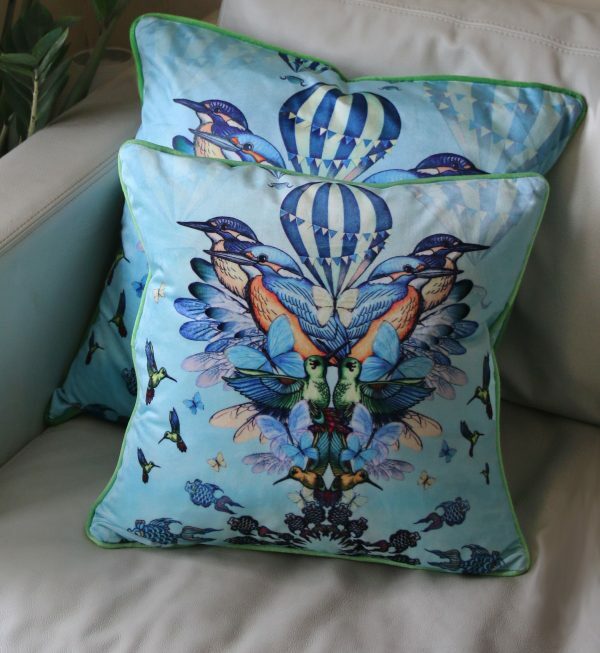 Blue Kingfisher velvet cushion | The Decor Cafe | Interiors. Gardens. 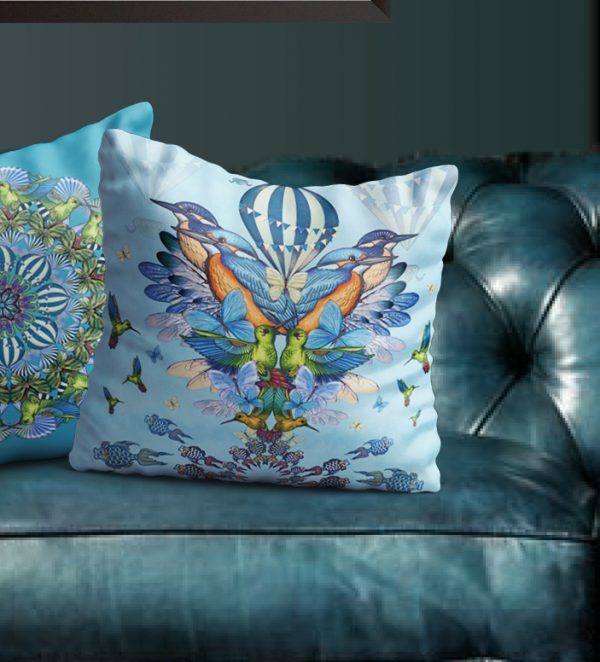 Lifestyle. 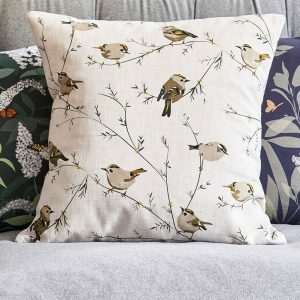 Home business. 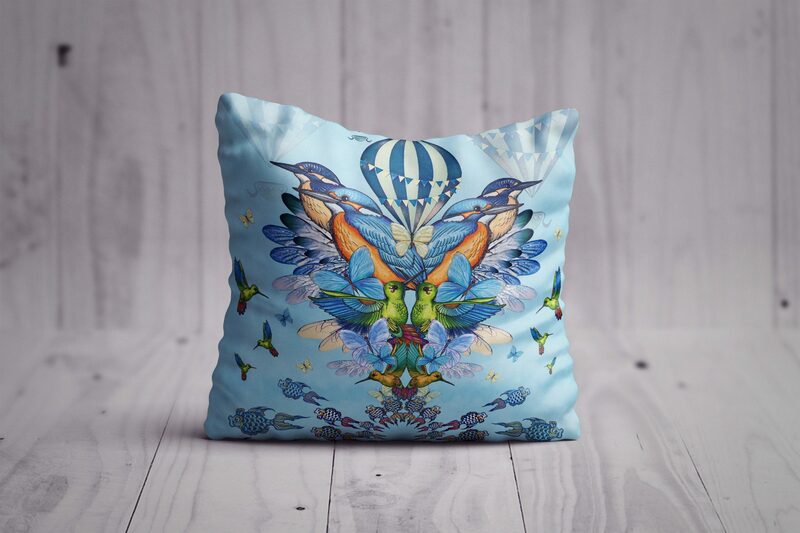 This soft blue square cushion features illustrated kingfishers, hot air balloons, fish, hummingbirds and butterflies in a symmetrical design. 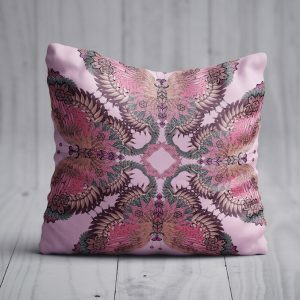 A fun and quirky cushion, this piece is suitable for the lounge or bedroom, a centrepiece to make your guests smile. 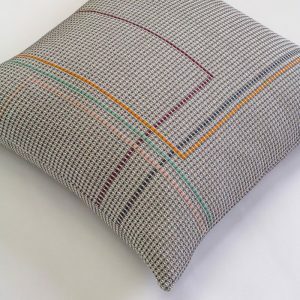 This lovely soft cushion is 45cm square with hidden side zip. The price includes a cotton covered insert filled with feathers.